Eighty-five percent of small businesses say word-of-mouth referrals are one of the ways customers find out about their business. This makes referrals one of the most important sources of business – more than online research, social media and email, according to a survey by Verizon and Small Business Trends. Most accountants wait for referrals to come to them, but you can also take proactive steps to get referrals to come to you. Here are some tips to bring in high-quality referrals. What Constitutes a Good Referral? A “good” referral is a referral that’s likely to convert into a paying client. To qualify, a referral must represent a company that generates annual revenue large enough to pay your fees. For instance, a company that generates less than $200,000 a year is going to have a smaller budget for accounting than one that earns $10 million a year. A good referral should also represent a niche that fits your firm’s area of specialization. A firm that does accounting for government contractors has a different target market than one that handles restaurant owners. Within your niche, further specify the job title of your ideal referral. A CFO has more input into their company’s accounting decisions than the head of sales and marketing, for example. Defining your ideal referral also helps you exclude prospects that aren’t good referrals. Simply invert the qualities of your ideal referral to define a bad one. A prospect from a company that can’t afford your fees, can’t make the company decisions or falls outside your niche expertise, isn’t a good fit. Knowing who isn’t a good referral can keep you from wasting time chasing dead-end leads. Your best referrals are likely to come from your best clients. A satisfied client is enthusiastic about your services, making them a more persuasive reference to potential referrals. A client who fits your ideal referral’s profile is also more likely to know other companies in the same industry that would be good referrals for you. Since good clients are more likely to yield good referrals, focus your marketing and client retention efforts on your ideal client. Specify your target demographic, narrowing down their industry, job title, needs and budget. Craft your marketing material to appeal to this target market, and design your marketing with the idea of attracting good clients who will also be good referrals. One of the biggest reasons companies don’t get more referrals is because they don’t ask. Just as many people have sales call reluctance, people are also reluctant to ask clients for referrals, often because they don’t like to ask others for favors. Asking for a referral isn’t necessarily self-serving though; it’s offering value to someone who might need your services. Generate referrals consistently by building “the ask” into your sales process. Rather than approaching referrals as something that happens randomly, design your sales approach so that asking for referrals is a follow-up step for any lead that doesn’t result in a sale, or for a sale that results in a satisfied client. You can also build requests for referrals into your feedback process. For instance, after asking clients to rate your service, ask them to name three other people who might be in need of your services. Your firm will find it easier to ask for referrals if you follow a referral script. A script takes away the anxiety and ensures your referral request uses optimal language to get the results you’re seeking. A script works best if you have a follow-up mechanism that makes it easy for clients to give you referrals. Have a form you can hand them, or create a digital form and direct clients to it by emailing them a referral request after they’ve been with you for a few months. Your best referrals are most likely to come from your best clients. Ask for them by building it into your sales process. 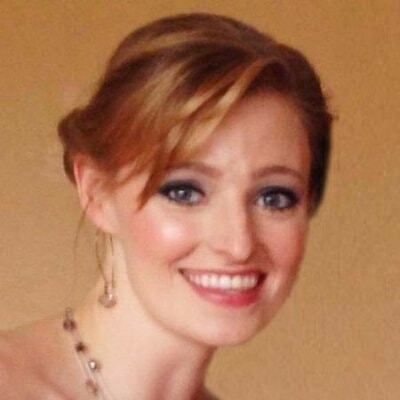 Elizabeth Joyce is a Senior Marketing Manager with Intuit's Accountant and Advisor Group. She'engages with accounting professionals across the United States to identify key trends and learning opportunities to help accountants thrive in a rapidly changing world.